Most of your image analysis tasks that required special software are now available online thanks to EOS Platform. This new cloud service launched by EOS Data Analytics provides GIS professionals with a one-stop solution for search, analysis, storing, and visualization of large amounts of geospatial data. A parking lot in Portugal. 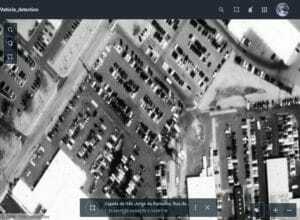 Before vehicle detection from WorldView-3 image. A parking lot in Portugal. After vehicle detection from WorldView-3 image. A tandem of EOS products offers a much-needed solution for individuals, businesses, and organizations across numerous industries. 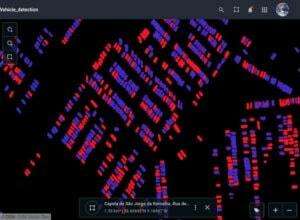 With vegetation indices and crop classification feature, agronomists can continuously monitor crop conditions to detect plant diseases, pests, droughts. Forestry specialists can assess fire damages, monitor forest health, track and enforce logging restrictions. 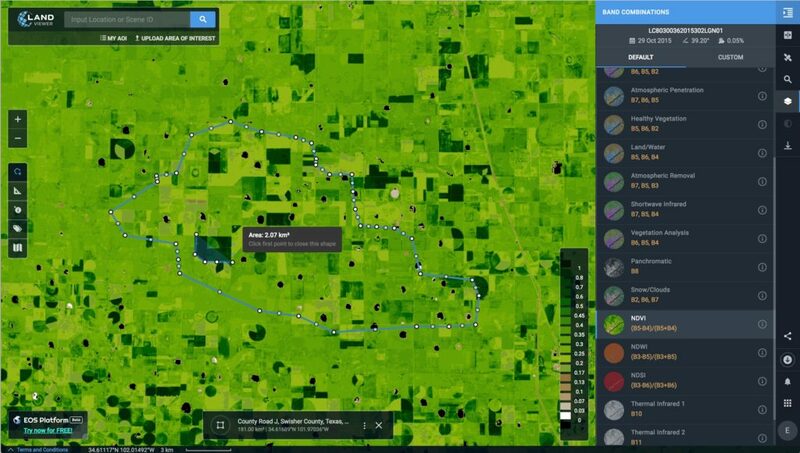 EOS Platform is a choice for regional and urban planning, helping users identify land cover classes to generate a vegetation map. It can also make a complete list of urban features like buildings, roads, and other major features in the region. The platform can tackle disaster management by measuring flood extent and finding fire boundaries. When it comes to oil and gas, it is capable of identifying oil rigs and assessing the environmental impact.